There are about 263,000 words in Merriam-Webster's Unabridged Dictionary. And yet one word stood out -- at least in my own personal quiet time in the last 14 days. There is something to be applauded on the beauty of rest at the end of a busy year. My time with Him has just been sweet and unhurried. His voice sounded so clear in my spirit. I knew, without a doubt, that this was His promise to me and my husband. As Robert sought our Father in his own personal time with Him, he received the same promise. 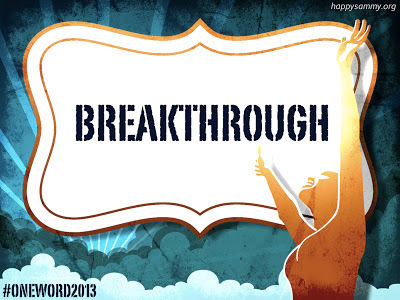 The very same word: BREAKTHROUGH. I can probably come up with hundreds of scenarios on how this word will play out in our year. 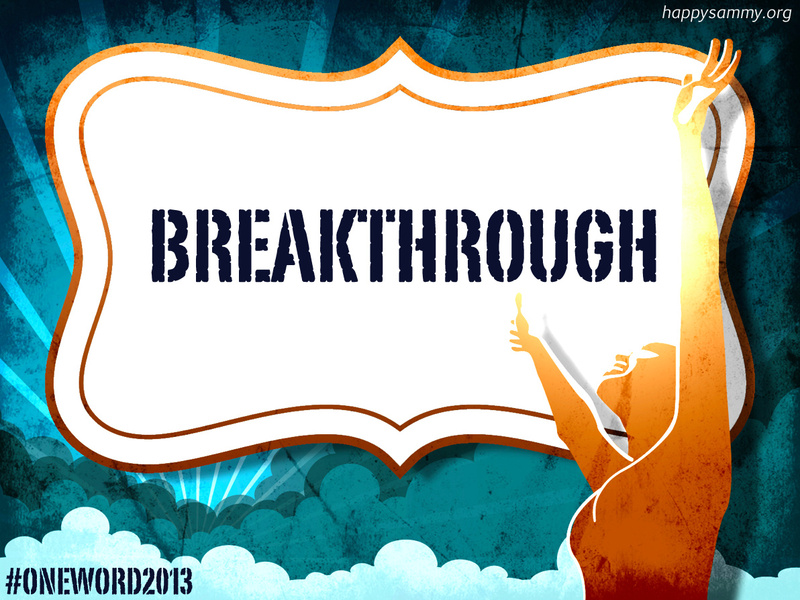 But one thing I am certain of: God's version of a breakthrough is way much bigger than I can ever fathom. I am also preparing my heart on the possibilities that some things need to be broken (well, the word in itself has 'break' in it) in order for God's renewal to activate in me. Will I ever be ready for it? I honestly don't know. But I am thankful that His strength in me can sustain what my own flesh cannot. Did God put a word in your heart for this year?